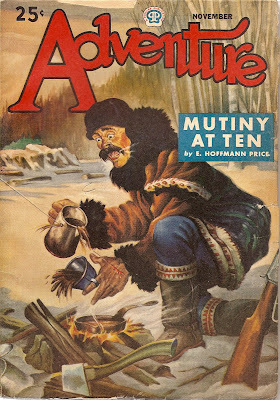 Adventure seemed to like presenting itself as both manly and literate. It was a classy pulp (sort of like a jumbo shrimp). Finding old war buddies fits right in. Looking for a long lost son is something else altogether.